As I browsed on Pinterest this morning I found an idea for a craft which children of pretty much any age can enjoy . . . and end up with a personalized t-shirt for them to wear or give as a gift! 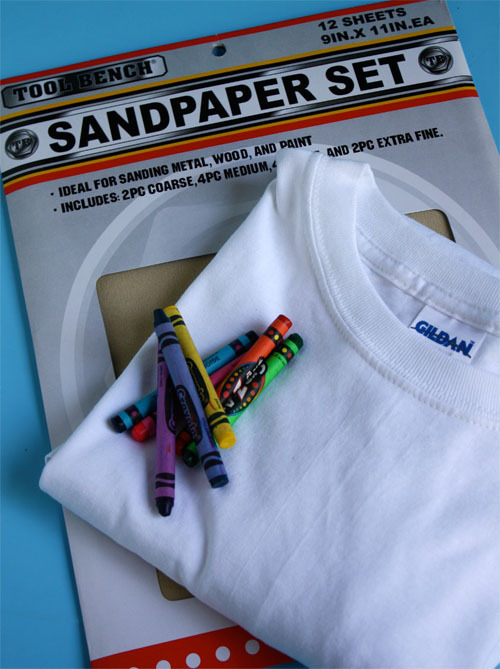 All you need are crayons, sand paper, t-shirts and an iron! Follow this link for the directions and a photo tutorial . . . it is a simple and fun way for children to make t-shirts for themselves and shirts they could give to a parent or friend for Christmas!